Just concluded a 5 days fun at DisneyWorld, Florida, Orlando. We watched parades after parades, took fun rides, watched musicals, live shows and had great fun beyond words. It felt like a happy land with dreams coming true. So memorable. What kept running in my mind during the days weren't really the parades, rides or shows, but how a little girl responded to the host during an interactive show. She was asked "What's the best part you like about Disneyworld?" The 4 or 5 year old look alike girl replied, "playing with my daddy!" And the crowd went, "Awww..."
I was so touched. I thought Mickey or Donald would make her best day. But nah. We know kids are usually honest. Doing rides, watching shows and meeting characters with her daddy must have made her really happy! It simply means that kids want our time, to play with them. Anytime and anywhere. That's probably the most memorable part for any childhood, to carry and bring into adulthood. As 2012 comes near to a closure, let's take time to bond and build our family to greater heights.While blogging takes a sabbatical break (family bonding), my man, myself and two little kids wana wish everyone a Merry Christmas and Happy New Year. Have great holiday fun! Back next year with updates of our year end vacation. If 211212 doesn't come true. Haha. The kids had surprise gifts from their friends! Thank you mummies for your thoughts. It really made the kids happy. Thank you! It's always heartwarming to be remembered in this far away land. It's been raining the whole of last week. 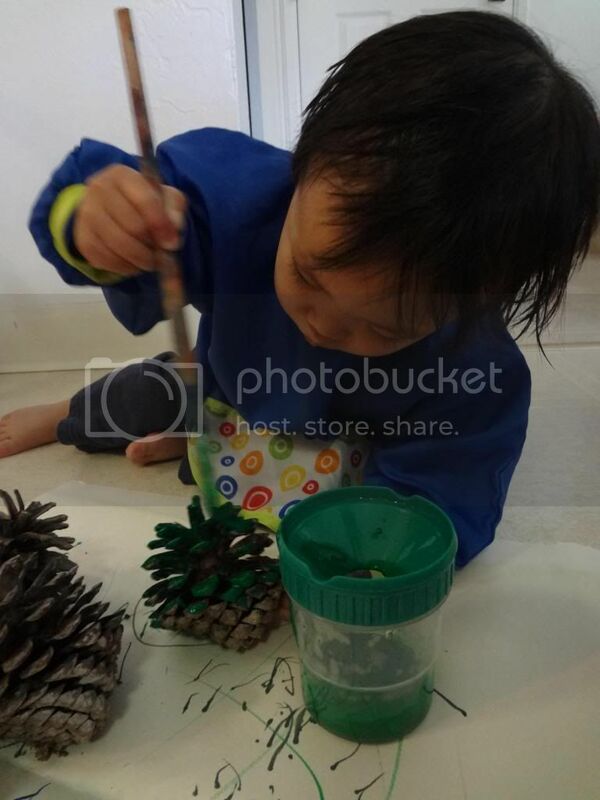 Outdoors are out, and so we did some indoor craft. 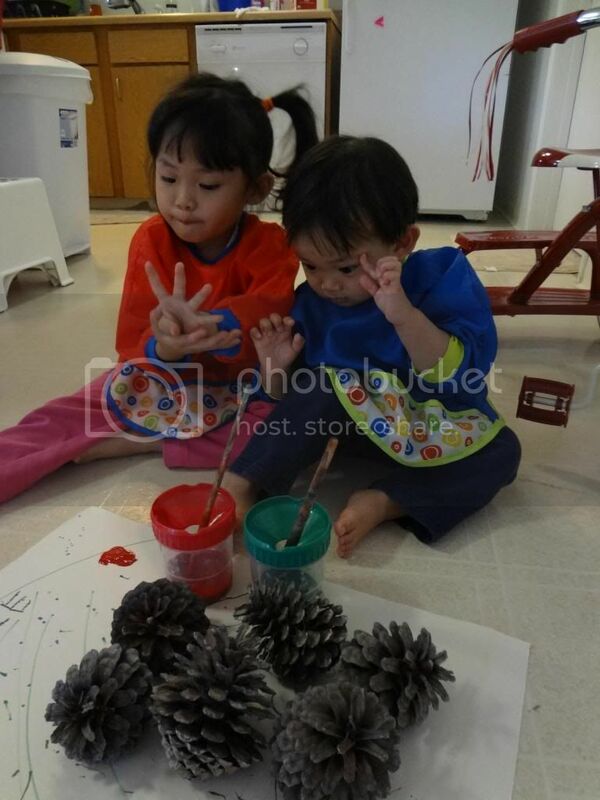 When we shifted into our place in September, the first thing I did at the backyard was to collect pine cones! They look really pretty and a rare find in SG. September was near Christmas, and I knew my plans for these pine cones. 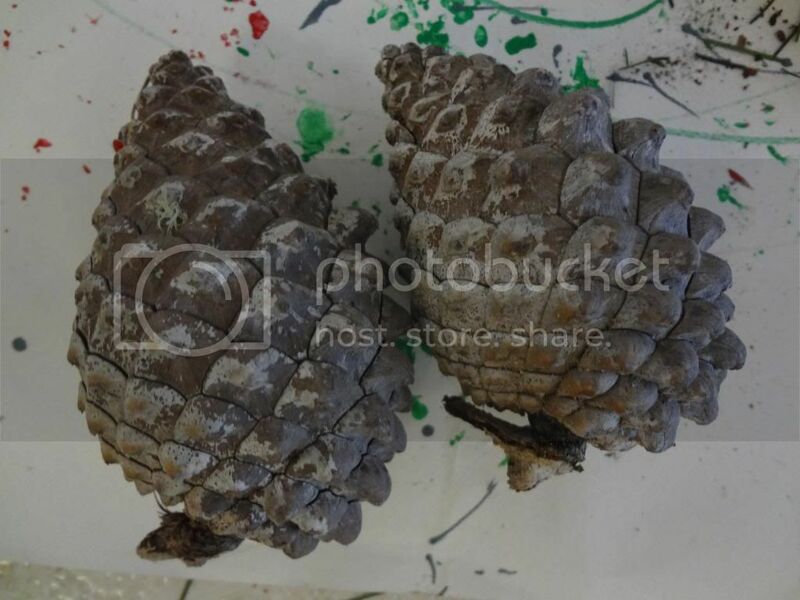 Pines cones collected at different season look differently. Those collect at fall have got their scales opened, which makes it easier to tie to the wreath. Pines cones collected now have got their scales closed, it makes good ornaments too. Perhaps with strong glue. And now, mummy does the job of securing the cones to the wreath, ending it off with a shiny silver ribbon. Our homemade wreath, all done! Probably one of it's kind in the world. 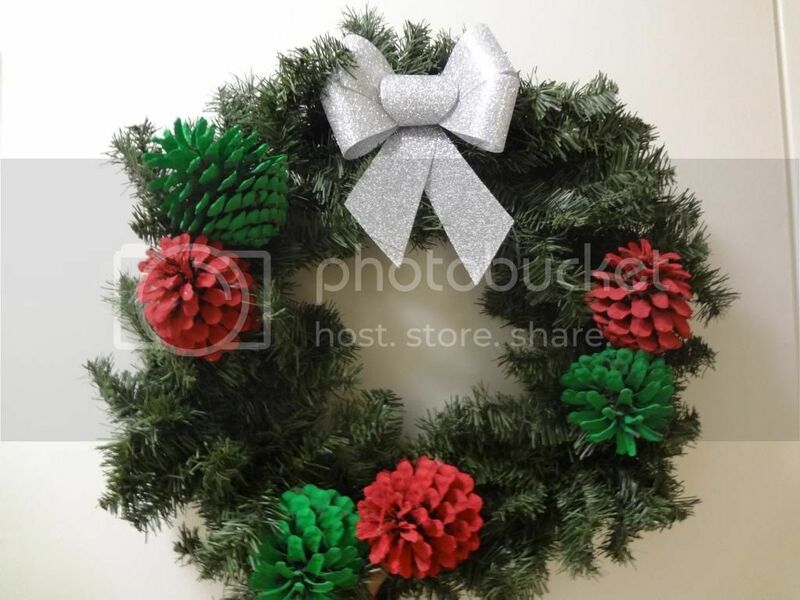 A stroll at malls and shops has wreaths with silver, golden and white pine cones. But red and green, hmmm... just us! 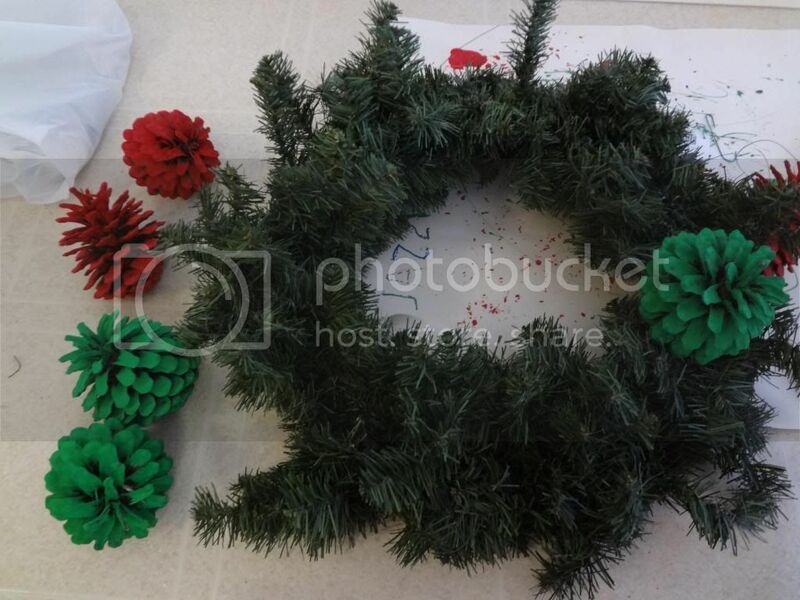 I love this DIY and low cost wreath.